Locally grown rice and vegetables are flourishing in Mozambique’s Massangena district, a testament to the success of an agriculture and rural development project that has brought massive dividends to inhabitants of the traditional farming region, once seen as semi-arid. The Sustainable Land and Water Resource Management Project (SLWRMP) financed by the African Development Bank, is one of several ventures receiving support under the government’s drive to modernise its agriculture sector. Over the past decade, the government has channelled US$120 million from the Bank into agriculture and rural development projects, benefitting 240,000 people, and resulting in increased produce, enriched lands and new economic opportunities. The project focuses on the construction of hydraulic infrastructure to regulate natural surface runoff and control floods. It has been particularly successful, resolving a water supply crisis across rural Mozambique and enabling farmers to diversify their cultivation to new crops like rice, once unthinkable in semi-arid areas. In Massangena, farmers now harvest and consume locally grown rice, putting an end to the myth that the soils of Massangena cannot produce rice. “I did not even know that here in Massangena you could sow rice, because I did not know about rice. For the first time I am now sowing rice,” Lameque Chichongue, a farmer in the region said. The SDAE officer and a member of the Revoluçao Verde farmer group. Production which began for the first time in the 2017-18 season, has resulted in the Massangena District harvesting a rice production of nearly six tons - 2.28 tons of rice from Massangena Sede and 2.9 tons of rice from Mavue, modest, yet promising results. 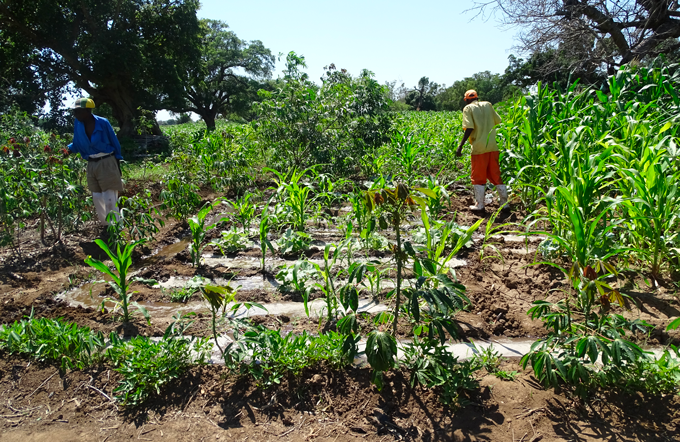 The government of Mozambique has prioritised transforming agriculture from traditional subsistence farming to modern, competitive, and sustainable economic activity. Agriculture is one of the country’s chief economic activities, contributing nearly a quarter of the country’s GDP in 2017, as well as employing over 70% of the population. But like other parts of the continent, Mozambique has suffered the effects of climate change - extremities of volatile weather patterns, including longer cyclones, dry seasons, frequent floods and the consequences of deforestation. This has resulted in reduced production, strained subsistence farming, and limited opportunities in the agricultural value chain. 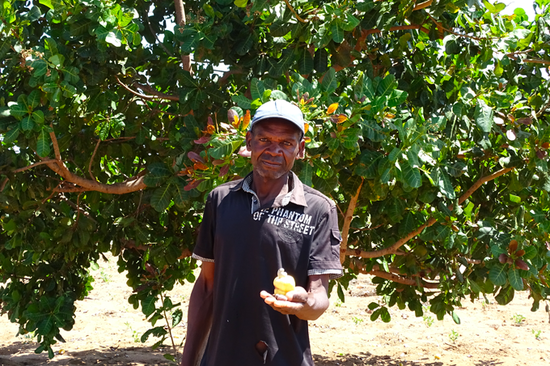 “This project is stimulating the production of cash crops such as cashew nuts in their natural habitats, in response to the Mozambique Development Agenda. The project helps to guarantee the subsistence of the farmers,” Joao Sambo, the project’s coordinator stated. With available resources, the project has also managed to finance the construction of nearly 90km of feeder roads and, provided access to markets. In addition, farmers have increased the size of their pastoral lands by over 16,000 ha, and available farmland for cash crops - rice and vegetables - by 3,050hectares, with a sharp increase of annual produce of 6,000 tonnes, up from 2400 tonnes. SLWRMP’s success has also resulted in the establishment of 56 small sprinkler irrigation systems in 56 communities with a total irrigation capacity of 360 ha; the construction of 12 boreholes that have increased access to potable water and the reduction of distances from the community to the water source..
And it doesn’t end there. Other ripple benefits include the construction of 21 small dams, which has increased access to potable water for about 18,375 people and 24,234 cattle, reducing the number of livestock deaths and leading to the diversification of the diet of the communities. As part of the project, 290 ha out of an expected 1500ha have been reforested so far. But it is the project’s beneficiaries who are its greatest champions. 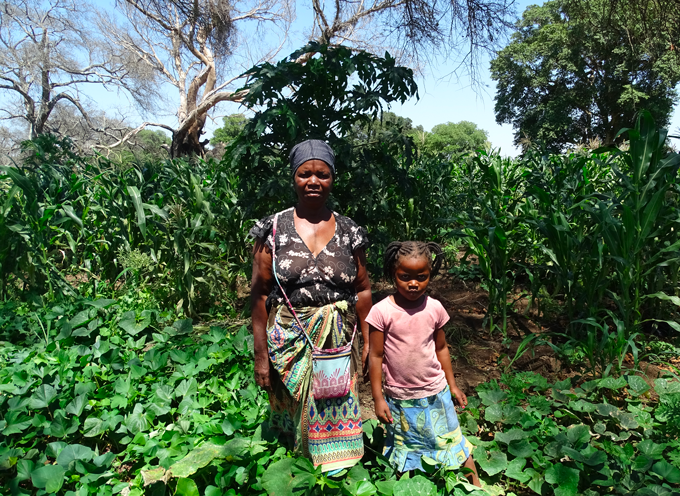 Rute Bila, a female farmer from the Revolução Verde (Green Revolution) farmer’s group said the irrigation kit that she received from the project changed her life. “It has increased my production far much more than I had before on the same piece of land,” she said. “With my profit from last year I was able to buy a goat for MZN1500 (approx. 24 USD) as I would like to start a small livestock business. I hope to soon be able to sell them for profit."